Moulded with his soulful, organic signature sounds,‘In My City’ is a tapestry of beautifully weaved songs and features local South African and international artists – established and upcoming. These include top drawer artists such as the inimitable Hugh Masekela. Ralf, who grew up listening to Hugh and many years later upon meeting, the two clicked instantly and whipped up two songs forthe album: the gorgeous love song ‘With Her Hand’ and voices the topic of over population on ‘In The City’. Other artists elsewhere on ‘In My City’ such as UK soul architect Omar with groovy ‘Love Core’ and Londoner Dele Sosimi (Fela Kuti, Femi Kuti) on the Afrobeat outing ‘Bi ‘na ba n’jo’. The US queen of vocal House Monique Bingham lends her distinctive vocal tones to ‘The Pap’. Together Ralf and Monique have penned previous hits such as ‘Take Me To My Love’ which subsequently became an official chart #1 in South Africa. There is also a refreshing assemblage of newer generation artists. The album introduces Lee Bling on ‘The Best Thing’. Rising soul star Portia Monique sings on the first single ‘Free (Is All I Wanna Be)’. South African actress and Osunlade collaborator KB makes a return to house music on ‘My Angel’, while previous collaborators Parisian Jocelyn Mathieu and Kafele of the 2010 uber-hit ‘Complicated’ return with their magical tones. 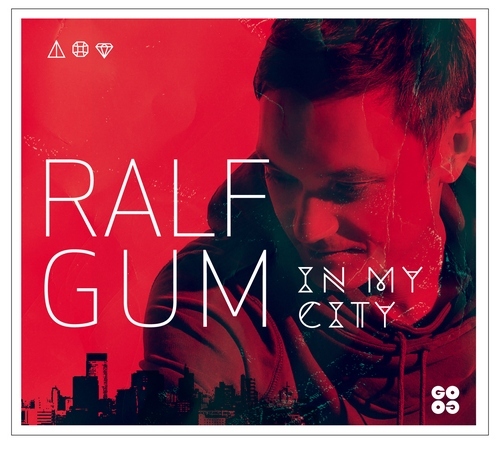 The album is produced together with long-time collaborators Phil Kullmann aka Raw Artistic Soul and Michael Ehnes, a compelling reflection of German-born Ralf GUM’s universal take on the soul genre.